BONNE TERRE, Mo. -- Missouri executed an inmate early Wednesday only a few miles from the farm where prosecutors say he orchestrated the 1993 killing of a couple whose cows he wanted to steal. William Rousan's last words were, "My trials and transgressions have been many. But thanks be to my Lord and savior, Jesus Christ, I have a new home in his heavenly kingdom." Before dying, Rousan, 57, mouthed words to his brother-in-law and a minister he had invited. As the drug was administered, Rousan breathed deeply twice and then was still. He was declared dead at 12:10 a.m., nine minutes after the procedure started. Michael Lewis, the son of the slain couple, Charlie and Grace Lewis, spoke afterward. "I draw no real satisfaction from Mr. Rousan's incarceration or execution, for neither can replace or restore the moments lost with my parents or give my sons back the grandparents they never got to know," he said. According to prosecutors, Rousan, his teenage son, Brent Rousan, and his brother, Robert Rousan, murdered Charles and Grace Lewis on Sept. 21, 1993, at their farm near Bonne Terre. Rousan lived in the same area of St. Francois County, about 70 miles southwest of St. Louis. Authorities say the three men drove by the farm, and William Rousan pointed out the cattle to steal. They parked about two miles away and hiked through the woods to the farm. They watched as the couple returned home. Charles Lewis, 67, began cutting the lawn with a riding mower while his wife, 62, spoke to the couple's daughter on the phone. Brent Rousan, then 16, ambushed Charles Lewis, shooting him six times. Grace Lewis told her daughter on the phone she heard gunfire and stepped outside to check on the commotion. Brent Rousan shot her several times. She managed to go back into the home, but William Rousan followed her, placed a garment bag over her head and carried her outside. He turned to his son and said, "Finish her off." Brent Rousan fired a single shot into the side of her head. The men placed the bodies in a tarp and put them near a shed. Later that night, they returned along with another Rousan brother, loaded the bodies in the Lewis' pickup truck, and took two cows, a VCR, jewelry, a saddle and other items. For almost exactly a year, they got away with the crime. The couple seemingly had vanished without a trace. But in September 1994, investigators received two tips that helped them solve the case: Rousan's brother-in-law, Bruce Williams, called police and implicated Rousan in the couple's killings, and a sister of William and Robert Rousan sold the Lewises' stolen VCR to a pawn shop. The couple's bodies were found in a shallow grave covered with concrete and a pile of horse manure on the farm where William Rousan was living. He was caught after a four-day manhunt. Brent Rousan pleaded guilty to two counts of first-degree murder and was sentenced to life in prison without the possibility of parole. Robert Rousan cooperated with prosecutors and pleaded guilty to second-degree murder. He served seven years in prison and was released in 2001. Gov. Jay Nixon declined William Rousan's clemency request Tuesday evening, clearing the way for the execution to proceed. In a statement explaining his decision, Nixon said he thought Rousan's sentence was appropriate for his alleged role as the mastermind behind the "cold-blooded plot" that led to the couple's slayings. Earlier Tuesday, the U.S. Supreme Court turned down Rousan's request to delay his execution. Efforts to spare Rousan's life hinged an argument that has held little sway over the courts - concerns about the secrecy used to obtain the execution drug, and the possibility that a substandard drug could cause pain and suffering in the execution process. Several states, including Missouri, now use compounded execution drugs purchased from unnamed pharmacies. Courts so far have allowed most executions to move forward. However, on Monday, the Oklahoma Supreme Court stayed the executions of two death row inmates who challenged the secrecy surrounding the process of procuring execution drugs. Missouri has executed one death row inmate each month since November. 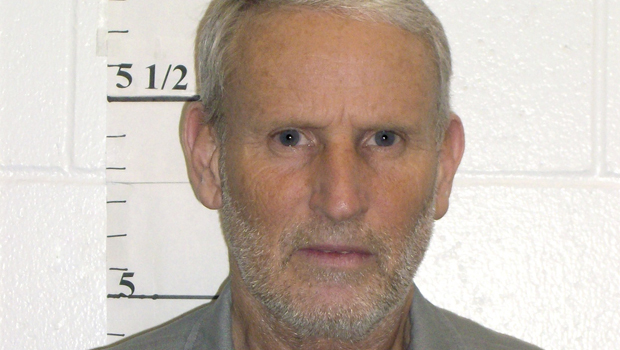 Another Missouri inmate, Russell Bucklew, is scheduled for execution on May 21. Only Texas, with seven executions, has executed more inmates than Missouri's four so far in 2014. Florida has also executed four inmates this year.